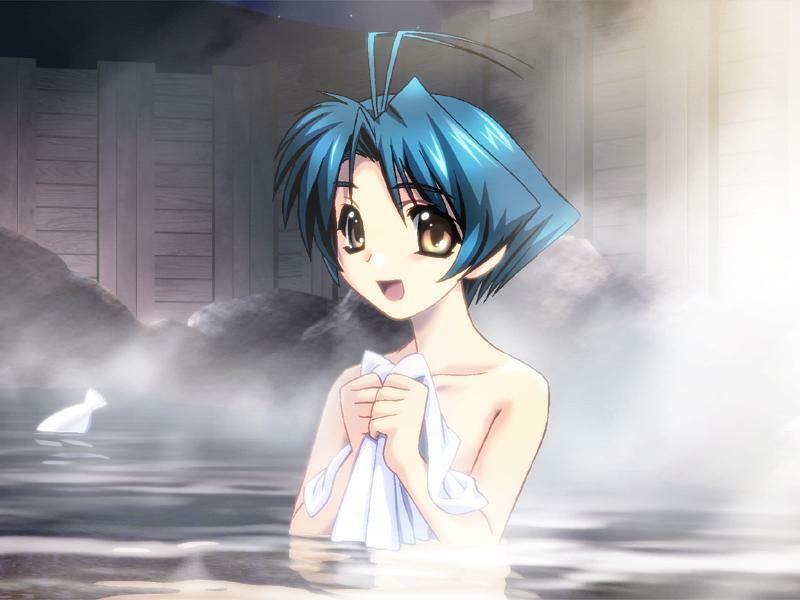 Best route - Page 2 - Muv-Luv Extra/Unlimited - The Muv-Luv Community Forum! I don't think there was a BETA route, sorry. Same, I've been looking forward to it for so long. Now it's finally within reach. I think he might be referring to someone "that BETA" liked. Mikoto is BAY Mikoto is life~! String. Order now and get free girl. Sorry, I had to. On the favorite routes front... I'm not good at listing reasons, but I am a Sumika man. I have a thing for Osananajimi. But I personally enjoyed the vast majority of routes quite a bit. And on a note related to the quote... Despite my favoritism of Sumika... Mikoto is pretty damn adorable. If I had to pick, I'd say Meiya for sure though I actually like Sumika quite a bit as well. Despite my favoritism of Sumika... Mikoto is pretty damn adorable. Meiya is the best route and best girl but I have a place in my heart for Ayamine after I did her route. I want to hangout and eat yakisoba bread with her! I found Kei's route a chore to get through, and Chizuru's even worse. That's not to say I dislike them personally though. Miki's route was the most warm fuzzy funny good-vibes route where everyone ended up happy and trauma free. Clearly the best route for the best girl. My favorite has to be Meiya, though I found Sumika's to be pretty damn cute. Best date is Ayamine though. Lot of Akane being awesome. Seeing how she matured made me cry a little. The hospital staff making an appearance. Miki's has to be my less favorite route, though it's hilarious in hindsight once you know her father in Unlimited/Alternative. Gotta go for Meiya once more. All the others were worth a shot as well for plot reasons. Ayamine's letter foreshadowing especially. Moreso if you read her route in Extra as well. Favorite route was Meiya(Unlimited) followed by her Extra route. Meiya was and is the best girl after all. THAT SAID, her character in Unlimited and Alternative is amazing, cos the story actually managed to bring out her personality 100x more. Meiya is such a great character in Unlimited and Alternative, but I didn't really find her and Takeru to match in Extra, and her ridiculousness was off-putting to me. In Unlimited and Alternative she fits so much better, but it was too late for her to dislodge Sumika for me. Guess my favourite is Kei's route in Extra. Apart from my beloved Kei, I found the character of Sagiri to be extremely interesting. The second half of the route, with its dialogues and its psychological concepts, just made me inseparable from the screen until it ended, leaving me completely satisfied. I didn't expect Extra, described to me as only fun-oriented, to be this engaging in some of its parts, also in the other routes. Hands down, it was Kei in Extra. The entire route just tugged at my heartstrings, and like Lucus before me, once I had successfully gotten onto her route (took me three tries) I couldn't leave my computer until I finished it. I was completely invested. The little epilogue bit at the end was just so satisfying to read, as well. Kei is definitely best girl. Meiya. Easy enough to see why. My Favorite route overall is probably Ayamine (Extra), but my true favorite girl is Kasumi. Meiya. Her personality is amazing. But oddly enough, I would probably get along better with Kei. Meiya. Takahashi doesn't play fair otherwise it would probably be Ayamine.